Are you looking for a way to benefit EFCA Foundation both now and in the future? Would you like to simplify your annual and lifetime charitable giving? Establish a flexible vehicle for annual charitable giving. Benefit from a more tax and cost efficient alternative to a private foundation. Receive an estate tax deduction and savings from your gift. Obtain a charitable income tax deduction in the year of your gift. 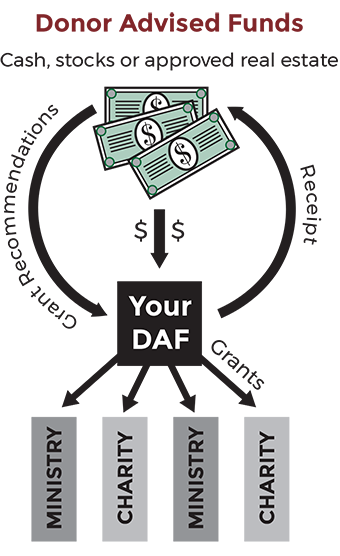 You make an initial, irrevocable gift of cash or stock to fund a DAF at EFCA Foundation.